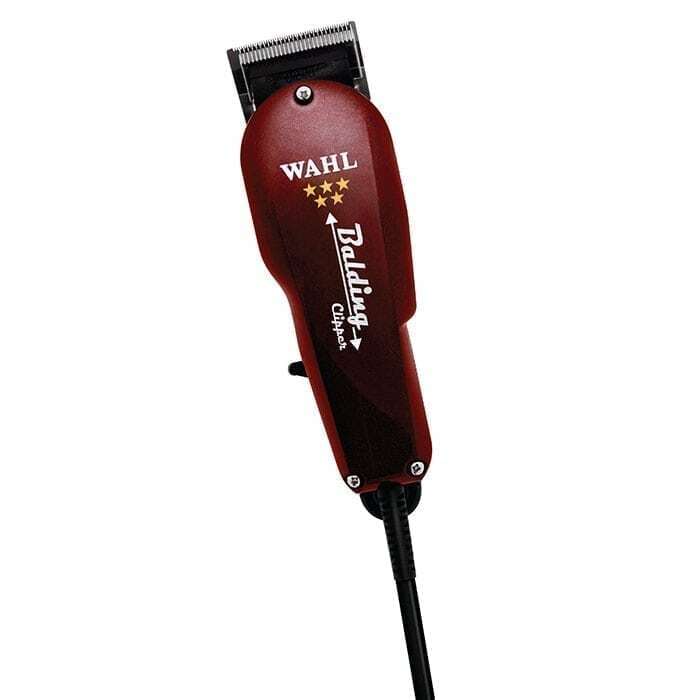 The Wahl 5-Star Balding Clipper allows for full head balding and tight fades. Features a super-charged V5000 motor for extra power. Zero-overlap and fine-tooth surgical blades for super close-cutting. The 5-Star series gives you twice the speed of pivot motor clippers. To meet the unique professional grooming needs of African-American clients Wahl developed a new “5-Star Series” of clippers and trimmers, including the Balding Clipper. The Wahl 5-Star Balding Clipper comes complete with barber comb, pre-shave brush, blade guard, oil, cleaning brush and instructions in both English and Spanish.